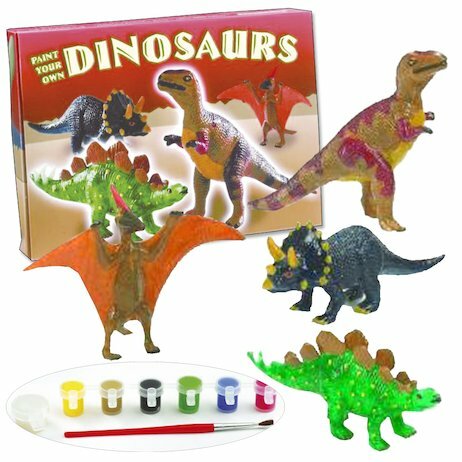 Deadly dinosaurs from the prehistoric world – with one fearsome difference: now they glow! There’s a sturdy Stegosaur, a huge Triceratops, a terrifying Pterosaur and a terrible T-Rex. Freak out your friends with your weird GLOWING beasts using this cool painting kit! Kit contains: 4 plastic dinosaur figures, 6 mini paints, glow-in-the-dark paint, glaze, paintbrush and instructions.